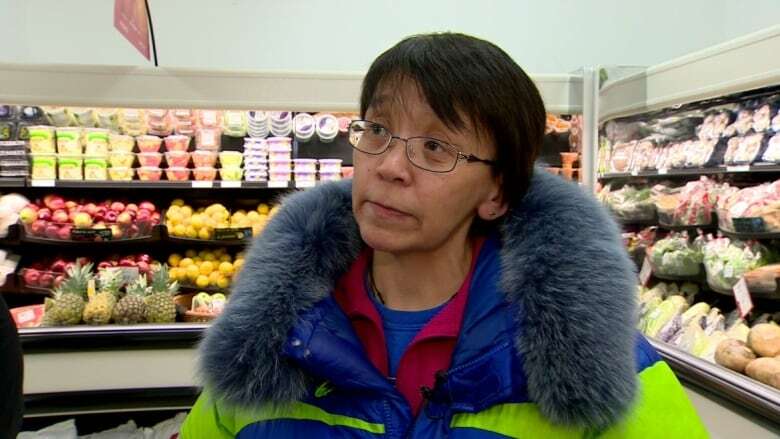 Leesee Papatsie says she won't stop until people in Nunavut have reasonable access to healthy, affordable food. Leesee Papatsie has lived in Iqaluit, Nunavut most of her life. While she loves living in the North, she also knows first-hand what food security means — or rather, food insecurity. Papatsie has become a tireless advocate for healthy, affordable eating in Canada's North. "In Nunavut, there are a lot of families who don't have steady, higher paying jobs," she explained. "So they struggle to put food on the table." Three meals a day are far out of reach for many that are struggling to make ends meet. "For some of them they'll be lucky if they have lunch or supper," said Papatsie. While it is clear that some families don't get enough to eat, especially those with lower incomes, she said incidences of starvation are rare. "That's because Inuit share what we call 'country food,' food harvested from the land," Papatsie said. It could be caribou, seal, clams, fish, whale or ptarmigan. Papatsie's favourite is raw caribou. "I don't eat fruits and vegetables," she said. "It's not what my parents grew up on. It's not what I grew up on." She says many people in the North migrate towards what they call stomach fillers, like rice and pasta. "A lot of people mix hamburger meat, rice and peas, and put soya sauce on top," said Papatsie. "For a lot of low income families, that's a regular meal — if they can afford it." After seeing a man protesting high food prices and low food quality outside a grocery store, Papatsie started a Facebook page called Feeding My Family, which produced fake ads posted on YouTube to highlight the issue of food prices in the North. "I didn't expect it to go viral," she explained. "All I wanted was to have one protest. It's about raising awareness of high costs of food in the north." When word got out, people in other parts of Canada and even the U.S. started sending care packages North. "It really shows that people care about others going hungry.That part is really good," Papatsie said. "But it's only a Band-Aid solution, because it's only solving it for now. Not for five years from now. Not for 10 years from now." Nearly five years later, Papatsie still won't give up. "What motivates me is knowing kids are hungry today, right now," she said. "Growing up we weren't starving, but there were definitely times when we were hungry. At one time we were garbage picking." So Papatsie knows first-hand how important food security is. And she says she won't stop until people in Canada's North have reasonable access to food. VIDEO: Don't you wish you had a community-owned grocery store like this?